Zero-turn mowers have revolutionized the lawn care industry with high speeds and unmatched maneuverability. However, zero-turn mowers provide another important benefit; they’re more environmentally friendly than traditional lawn mowers. In 2007, the Environmental Protection Agency found that 5% of U.S. emissions came from lawn mowers. Since this time, lawn care providers have been actively searching for equipment that offers both quality performance and low emissions. This demand for eco-safe options has been met, in part, by the increased use of zero-turn mowers. Check out these environmental benefits for yourself. On average, utilizing a zero-turn mower cuts your lawn care time in half. 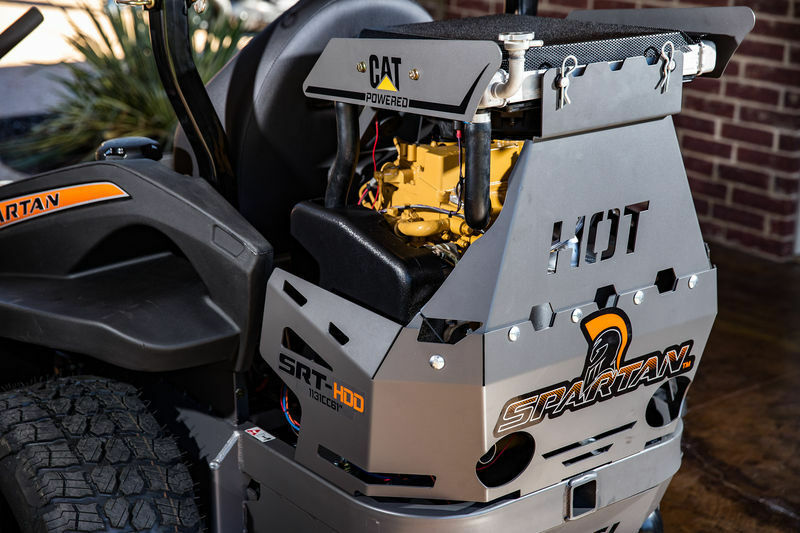 Spartan Mowers come with a variety of engine options, with maximum speeds starting at 9 mph and ranging up to 13 mph with the XD engine option available in the Spartan SRT Series. This is two and three times faster than most traditional riding lawn mowers. 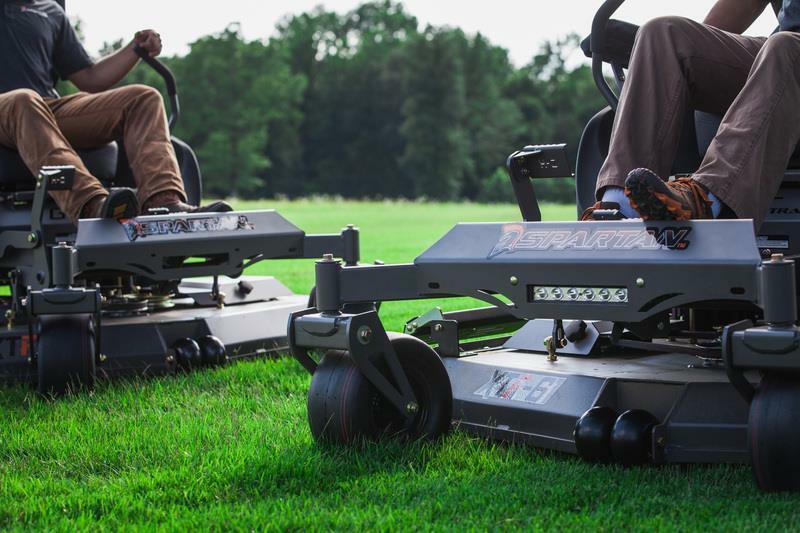 In addition, the increased maneuverability of zero-turn mowers means less time going over the same areas as you drive in large loops across your lawn. This combination of speed and turn-on-a-dime ingenuity makes your zero-turn mower more efficient and reduces the number of emission being released into the air. By diminishing the amount of time it takes to mow your lawn, you are also limiting the number of hours being put on your mower. This provides a number of benefits for the environment (and your wallet). Fewer hours mean less maintenance and longer periods between needed oil changes. Used motor oil can pose a multitude of health and environmental risks, and the best way to limit this issue is through fewer oil changes. Utilizing a zero-turn mower helps to balance proper maintenance with minimal environmental impact. Racking up fewer hours on the lawn also means you can keep your mower running strong for more years to come, technically helping to reduce the emissions generated by manufacturing and shipping new machinery. Gone are the days of single-use mowers. Spartan Mowers offer a wide variety of zero-turn mower accessories that can eliminate the need to purchase and maintain other machinery. All existing RT and SRT models can accommodate features such as the Stripping Kit, Sprayer Tray, and Mulch Baffling Kit. These types of accessories can help reduce the need for additional power equipment, which creates less harmful emissions caused by the manufacturing, use, and maintenance of multiple tools. 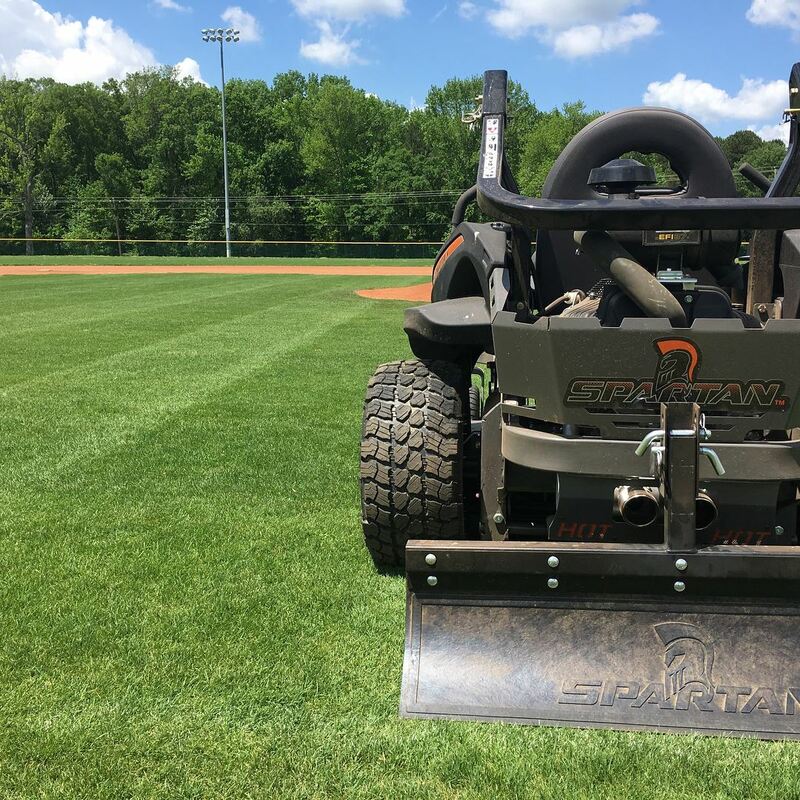 The Spartan Mowers also come in a range of deck sizes and their zero-turn capabilities allow mowers to get a closer cut around trees and other obstacles. Depending on your yard, this could cut your weed-eating time in half. Less weed-eating equals fewer total emissions created by your routine lawn care. Spartan Mowers also offers an alternative to traditional gasoline engines with their Heavy Duty Cat Diesel model. The term diesel can sometimes conjure up images from years ago, featuring black-smoke sputtering machines smelling of toxic fumes. However, recent legislation requiring “clean diesel” and high-end filtration has drastically changed how we use this resource. This has resulted in better fuel efficiency per mile traveled when comparing many diesel engines to their gasoline counterparts. This allows you to maximize your mower’s power while still cutting down on fuel cost and reducing your carbon footprint. Another benefit of the new diesel engine is a reduction in vibrations and the resulting sound production. This has decreased the level of noise pollution being created, which not only makes for happier neighbors but also prevents you from disturbing the natural cycles of wildlife that may be present in your area. Zero-turn mowers are equipped with high-speed blades that help grind grass tips and leaves into a finer mulch than traditional mower blades. The main benefit of this natural mulching of your yard is that it returns key nutrients into the soil, promoting the long-term health of the grass growing there. The resulting, thicker layer of grass helps to trap dust and other small particles to better clean the surrounding air. Mulching also traps moisture into the soil and keeps ground temperatures lower in order to promote healthy grass growth. The ability of zero-turn mowers to easily mulch your yard as you mow means you can get the green lawn you want without buying bags of fertilizer at the store. 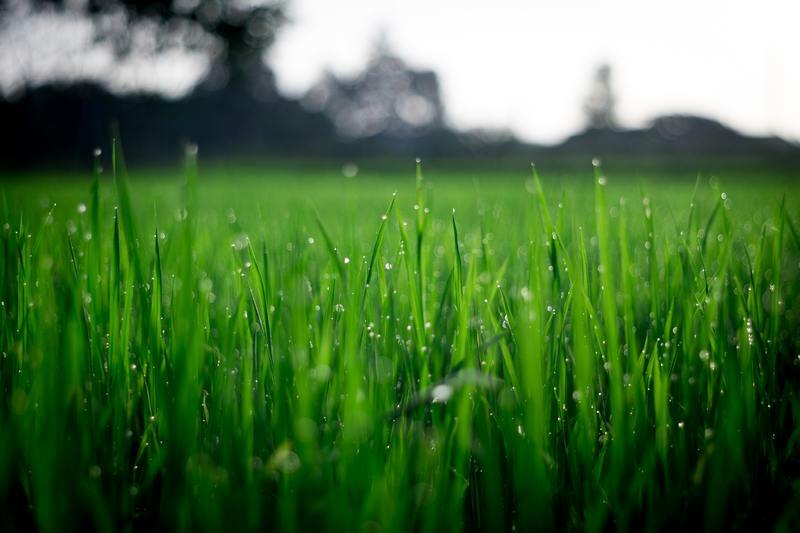 Many of these fertilizers contain chemicals that can be harmful to the environment, especially when rainwaters move these chemicals into surrounding lakes and rivers. If you really want to get the most out of your zero-turn mower’s natural mulching ability, consider adding a Mulch Baffling Kit (not available for the RZ series or 72’ deck size). This accessory helps to chop grass tips and leaves into even smaller bits for easier decomposition. This is specifically helpful during the fall season when large leaf piles risk damaging the sections of lawn buried beneath them. Whether you want to save time, save money, or save the environment, Spartan Mowers has a zero turn mower just for you. From our residential Spartan RZ Series to our commercial Spartan SRT Series, there’s no doubt that you will see a difference in our zero turn mower. With each mower, we strive to offer quality mowers with the speed, durability, and adaptability that is helping the lawn care industry move forward. To learn more about our mowers and see what the fuss is all about, visit a Spartan Mower Dealer near you. Use our DEALER LOCATOR to find a dealer. You can also compare mower models by using our COMPARE MOWERS tool.